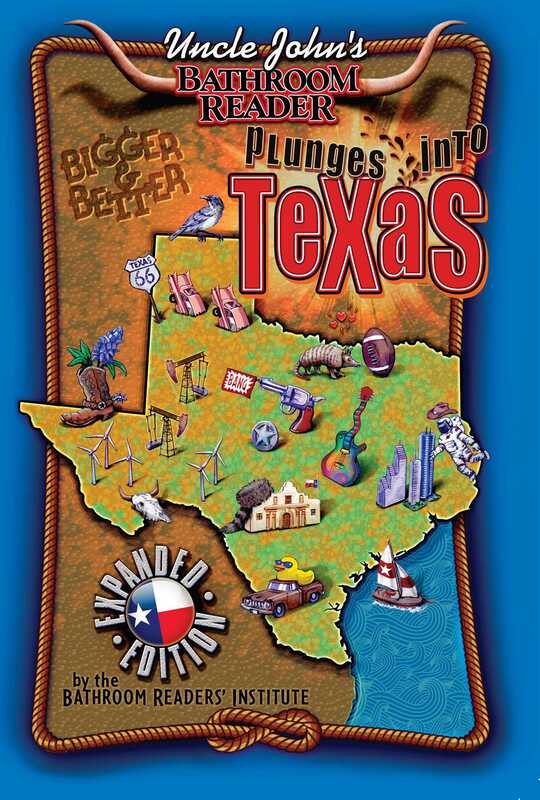 Packed with 60 new pages, Uncle John’s Bathroom Reader Plunges into Texas Expanded Edition! is bigger and badder than the previous edition. This cowboy-sized collection of Texas talents, truisms, and tales offers fans everything they love about the Lone Star State: its colorful history, fascinating figures, good grub, bona fide Texas brews, and much more. Like what? How about . . .
* Cowboy street cred: How to tell a drugstore cowboy from the real deal. * The funniest Texas tombstones. * A few facts about the grand Rio Grande. * Oil myths, rodeo clowns, water wars, and all the weird, wild, and wonderful things that can be found only deep in the heart of Texas.